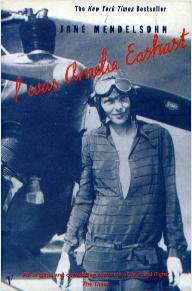 The two main characters in this novella are famous American aviator‎ Amelia Earhart and her navigator Fred Noonan. In 1937 Earhart was attempting to fly around the world along the equator.On July 7th Earhart's plane disappeared; neither the wreckage nor the remains of Earhart or Noonan were ever found. Mendelsohn imagines what might have happened had Earhart managed to successfully crash land on Howland Island. This was a short read but most of us felt lifted far away from the earthly realm and into one of imagination and fantasy with a tantalising element of real-life 'what if'. The writing style is unsettling: short paragraphs written sometimes in the first, sometimes in the third person. 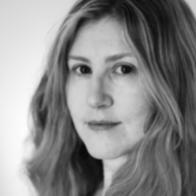 Initially knowledge of the real-life story overshadows the story Mendelsohn is trying to tell but one of the things that makes this book so captivating is how successfully the author subverts the reader's expectations and foreknowledge and uses that to allow us to view events and the relationship between two flawed individuals in a very different light. Although this novella took most no more than an hour or two to finish it was a reading experience we found rich and complete. We enjoyed the poetic language and the kinetic visceral quality of flight as experienced by Earhart in her beloved Electra (arguably the third character in the book). All of us were curious to know more about Earhart after reading this; intriguingly it seems forensic discoveries have been made more recently that suggest Mendelsohn's story may be far less fantastic than we might have thought. Absolutely. A wonderful read that could not have been more perfect for our reading retreat as it's a book that leaves the world behind. Beautiful, expressive language. A perfectly formed novella that explored really interesting ideas in a clever, non-judgmental way. Short, beautifully conceived. Mysterious and magical and mystical, the spiritual dimension of human beings cleansing and shedding and going through a process of rebirth and renewal. I loved the fact that I don't really know what happens at the end. A real discovery. I was taken away with it but question whether it was the beautiful sunshine I sat in while I read it. It was like a perfect dream. The depiction of the perfect relationship was so beautifully drawn and believable. Beautiful, precise, crisp prose that I found refreshing (after reading Shirley Hazzard). Humanity, a sense of humour, the inconsistency and complexity of human relationships coming up against each other. I really enjoyed it. I thought it was brilliantly, beautifully uncertain. I love the way it is layered. Despite it being a novel about things I have no direct experience of, I found myself reflecting on much in my own life. I really enjoyed reading it in the warm sunshine in a comfortable chair – does that inform my judgment of it? To me it seems not a 'great' book, although I'm not quite sure why not. So 4 1/2 rather than 5 from me. I skipped the Test match to read this. I found it absolutely fascinating with beautiful writing. It really took off for me at the beginning of the second chapter. Such an engaging look at what it is you want out of life. Earhart was an incredibly successful woman and yet Mendelsohn uses her to explore the question of what does, in fact, make us happy. I loved this, though not in a totally unqualified way. I did find the writing style disconcerting and I was impatient with the book at first. But I loved the ideas, the brilliant use of fact and supposition, the physical reality of flight entwined with the flight of fancy that makes up this novel. I thought the ambiguity of the ending was perfect; unlike the Hazzard which left us puzzled this offered possibilities that were true to the central idea, that Earhart's and Noonan's fate was a matter of both destiny and choice. This book club took place in May 2016 and was our 'reading retreat' at Sally's parents' house in France. We appropriated our favourite reading nooks (mine was the bashed up red basket sofa while Laura preferred the more noisy scene by the frog pond) and lazed in idyllic sunshine one day, and sheltered from thunderstorms the next. We ate fantastic food and had spirited discussions about the books suggested to us by our Bibliotherapist Susan Elderkin. Meanwhile Simon attempted to swim 1,000 lengths of the swimming pool and Natalie revealed her childhood skills at synchronized swimming demonstrating a perfect Isle of Man. Click here for photo gallery. We also read The Transit of Venus by Shirley Hazzard.